They say all good things come at a price. As much as we relate to this quote, it doesn’t ring true in all situations. For instance, our cars are one of our most prized possessions but owning a car does not always have to be a costly affair if you are ready to commit yourself to its timely upkeep. While many like to believe otherwise, save money on car maintenance is not as difficult as it is cracked up to be. In fact, having a well thought-out plan and following a simple set of rules can drastically reduce your expenses on car repairs. Here are a few tips to save money on car maintenance. Maintenance Schedule: We are all familiar with the famous saying “A stitch in time saves nine” but very few of us actually heed to it. 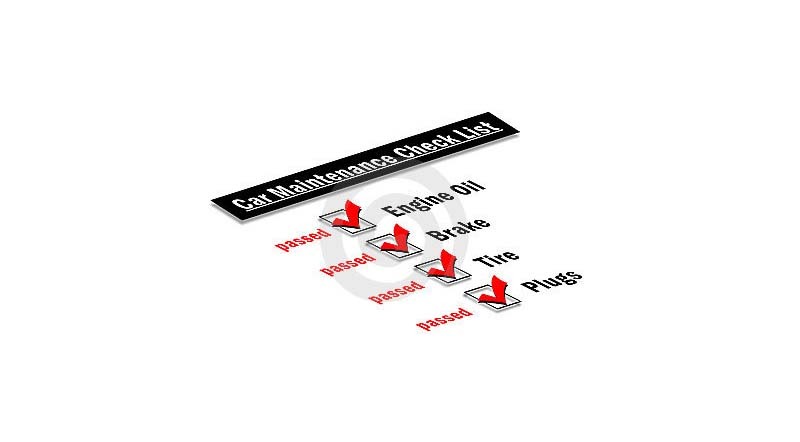 A regular car maintenance schedule can work wonders for your car by adding many years to its life. As each car’s requirement differs from the other, every car demands a different treatment from its owner. Based on factors such as a car’s model, make, year, mileage and condition, the kind of repairs it requires will also vary. Therefore, the owner’s manual should be thoroughly checked to determine what changes or measures should be taken to keep the car in great condition and how often they are required. Tyre Pressure: Keeping a constant check on tyre’s pressure can go a long way in ensuring their durability and a life. If the tyre pressure is not well maintained it can lead to unfavourable situations; an underinflated tyre is likely to cause car handling issues and may lead to accidents. Properly inflated tyres also enhance gas mileage thereby saving you money. Moreover, based on your location the car tyres encounter several terrains and withstand stones, gravel and nails on a regular basis. Hence, you need to have a monthly inspection of tyres to ensure there are no cracks, bulges, corrosion and wear and tear to help save any additional costs. Check on fluid levels: While we agree that it is not possible for you to handle the car maintenance of different integral and complex car parts which require the assistance of a skilled mechanic, there are a few things that are definitely in your control such as maintaining the fluid levels. Keeping a check on the car’s fluid levels and refilling them is the easiest task you can undertake in the upkeep of the car. The most essential fluids that need to be tracked are engine oil, coolants, brake fluid, windshield washer fluid, transmission fluid, battery electrolyte and power steering fluid. Air filters: A great way to put off the time and trouble of getting a mechanic and save on money is to deal with the air filter yourself. The air filter is an inexpensive component of the car and in most cases requires replacement every 3 months unless you live in dusty area. In Arab states, you definitely need to keep a check on them more often. Oil changes: It goes without saying that the engine is an integral part of your car and hence maintaining the right amount of engine oil is of utmost importance. While it is essential to keep the oil level as required, it is also necessary to change the oil as per owner’s manual to avoid spending money on maintenance later. The car’s functioning to a large extent is dependent on the oil, so make sure you learn to change it yourself. Check the manual to ascertain which quality and type of oil is best suited for your vehicle and make use of it to keep the car in best working condition. We live in a world where it has become extremely easy to get things done by others in exchange for a few Dirham, but why not save some money wherever you can, by assuming some responsibilities yourself. After all, a car’s condition reflects greatly on your personality.